Will Ferrell and John C. Reilly’s latest collaboration, Holmes & Watson, comes out on Blu-ray and DVD tomorrow, April 9. I know the movie earned a specific type of reputation when it opened in theaters back around the holidays, but I’m still excited to finally see it for three reasons: first is John C. Reilly, second is Will Ferrell, and third is that it won, like, four or five Golden Razzie Awards, including the one for worst film. 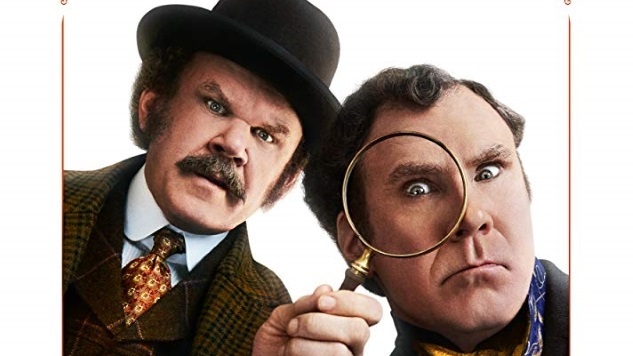 So many good comedies get absolutely torn apart upon release—think Cabin Boy, Billy Madison, Hot Rod—that it’s entirely possible that Holmes & Watson is better than its reviews. (Hell, even Step Brothers is considered “rotten” on that tomato site because of the terrible reviews it got in 2008.) There’s clearly something going on with this movie for it to spark such a reaction, and I need to see for myself exactly what that something is. In the meantime, here’s an exclusive clip of outtakes from tomorrow’s home video release. It’s a reel of different improvs and line readings from various scenes, from both Reilly and Ferrell, and if anything, it’s at least getting me ready for what I might be witnessing when I pop that disc in the player tomorrow. Check it out below, and if you decide you just can’t wait an extra day for a physical release, you can already watch Holmes & Watson on digital.